The Big Acorn Race Is Here! Hodge and Podge and Eric couldn’t wait to tell you the news. crochet pattern book, The Big Acorn Race, from Amazon.com. Categories: Making the Book | Tags: amigurumi, crochet, pattern book, self-publish, squirrel, Squirrel Picnic, The Big Acorn Race | Permalink. The reviews are in… everyone loves The Big Acorn Race! A whimsical storybook and crochet pattern book in one! The story takes readers on an adventure in a colorful crochet world. Here we follow three little squirrels, Hodge and Podge and their friend Eric, as they compete to see who can get an acorn out of a tree first. It sounds simple, but there’s a catch: they aren’t allowed to climb the tree. They each must use their wit and imagination to find an alternative solution. What will they invent and who will win? But the fun doesn’t stop when the story ends! 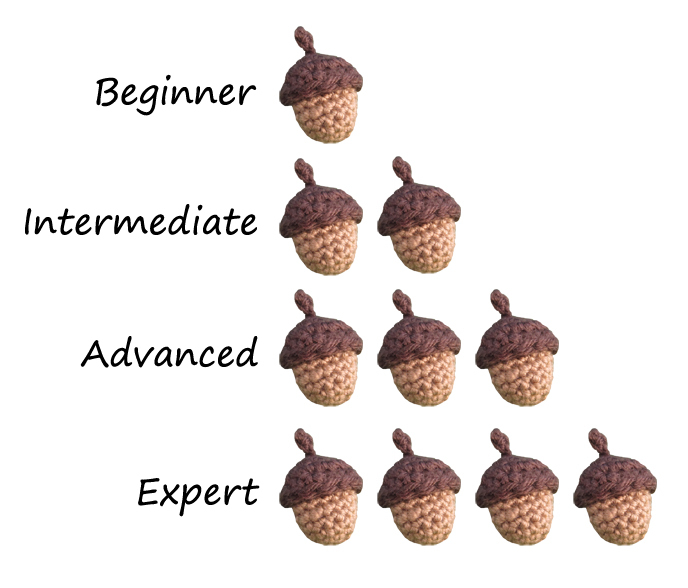 The Big Acorn Race also includes over 15 crochet patterns and projects to make the squirrels and their inventions, as well as accessories for you inspired by the story. Easy-to-follow, step-by-step instructions and tutorials will guide you in making your own squirrel characters, and the colorful photographs will inspire you to imagine new adventures for these crocheted friends. Known for her ability to create patterns that are both simple in technique but truly creative and entertaining, Jennifer has taken great care to design projects that will be fun for the beginner and experienced crocheter alike. Available from Amazon.com and other online retailers! Categories: Making the Book | Tags: amigurumi, Big Acorn Race, crochet, diy, pattern book, Squirrel Picnic, storybook | Permalink. Before heading out to the mountains for the photo shoot, I took some time to sketch out a general layout. I love drawing Hodge, Podge, and Eric. This past week I took the final photographs for the book. These full-page color photos are the “beauty shots” that will divide the patterns into sections. Hodge, Podge, Eric, and I decided to make an adventure out of it and head up to the mountains with all of our props. We went to one of our favorite places: White Ranch Open Space Park. It was a beautiful, blue-sky day (it didn’t even feel like winter), but it was also really, really windy. We were determined not to let the wind spoil our fun, so we carried our baskets of Big Acorn Race goodies over the mud and snow until we came upon some picnic tables in the sun. I had sketched out my ideas on how to lay out each scene before we got there, but I hadn’t really prepared for the wind. I set everything up, taping some things down and holding others down with rocks! Then I waited patiently for the wind to die down and tried to snap as many photos as I could in between gusts. Hodge and Podge and Eric got to model their accessories in the first photo we took. The first group of patterns you will find in the book include instructions to make the squirrels plus their accessories and inventions. 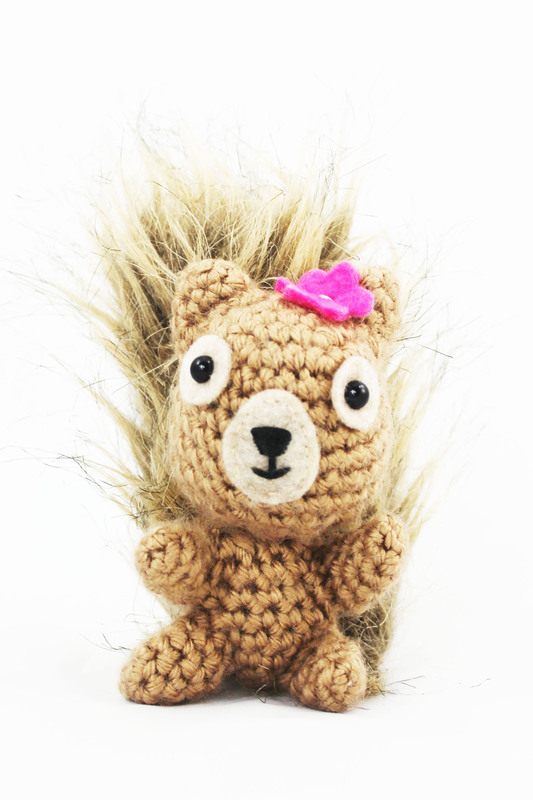 The new and improved squirrel amigurumi pattern comes complete with photo tutorials and detailed instructions on how to embroider their faces, how to create their eyes, and how to sew their tails. I think you will appreciate finally being able to find all this information in one place! There are also patterns to make Podge’s apron, Hodge’s baseball cap, and Eric’s jet pack. Next we used the picnic scene to display the Oak Leaf and Acorn Garland, Acorns in Six Sizes, and Oak Leaf Clutch. I have had the garland hanging in my bedroom for a few months now, and I love the way it adds a pinch of woodsy charm to my room. I had a lot of fun making the Oak Leaf Clutch in particular. In addition to the instructions to crochet the clutch, I show you how to add a lining and a zipper. Eventually we couldn’t compete with the wind any longer. I really had to fight against the wind to get back to the car, so I had to admit that we weren’t going to be able to take any more photos on the mountain. We packed it up and headed back down to one of my favorite parks in Arvada. Here, I set up the scene for the flower section, which includes patterns to make accessories for you and your home inspired by Podge’s solution to the Big Acorn Race challenge… the Tall ‘n’ Fast Flower! Next was the photo for one of my favorite accessories. 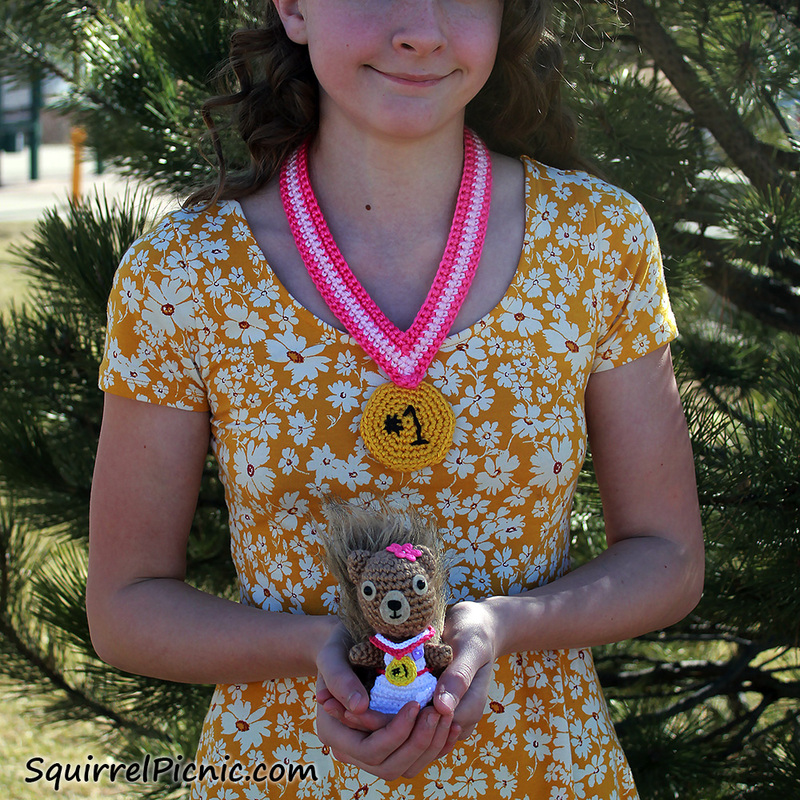 The book also includes patterns to make an award medal for you and your squirrel friend! Aren’t they darling? Danielle Duncan teamed up with Podge to gracefully model their award medals. Thank you, Danielle! You are a natural. You and Podge will make everyone want medals of their own. Categories: Making the Book | Tags: amigurumi, crochet, diy, pattern book, self-publishing, squirrel, Squirrel Picnic, Tall 'n' Fast Flower, The Big Acorn Race | Permalink. 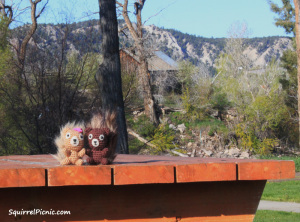 Ever wonder how Squirrel Picnic got its start, who the characters Hodge and Podge were inspired by, or how I go about designing crochet patterns? Read on for the full scoop! How did you come up with the name Squirrel Picnic? One of the most important things to consider when starting a blog is the name, or at least that’s what I’ve been told. So when I set out to start a blog back in 2012, I took a day off of work to set it up. It took me all day to think of the name. Every name I thought of had already been taken. I was pacing my living room when a squirrel jumped down onto the balcony. We treat the squirrels in our neighborhood like pets — we feed them almonds and give them names. I’ve always wanted to put a tiny picnic table out on the balcony with some almonds on it to see if they would sit down to eat a proper picnic. When that squirrel hopped down on the balcony, it struck me — Squirrel Picnic! How did the characters of Hodge and Podge come about? Are they modeled after people you know? When I first started the blog, I planned on covering lots of different crafts, from crochet to jewelry making. I did tutorials on needle felting and we went on a field trip to a stained glass studio. It was a real hodge-podge! When I decided to whip up some mascots for the blog, it seemed only appropriate that they be named Hodge and Podge. Hodge and Podge are modeled after two of my childhood friends. I’ve always enjoyed storytelling. Since Squirrel Picnic began I have been putting together webcomics for the blog featuring the squirrels and their friends the fatimals. One of my favorite things to do is to come up with new adventures for them all. Often I’ll create a pattern to crochet one of the items featured in the comic, and I’ll share it with the readers of my blog. 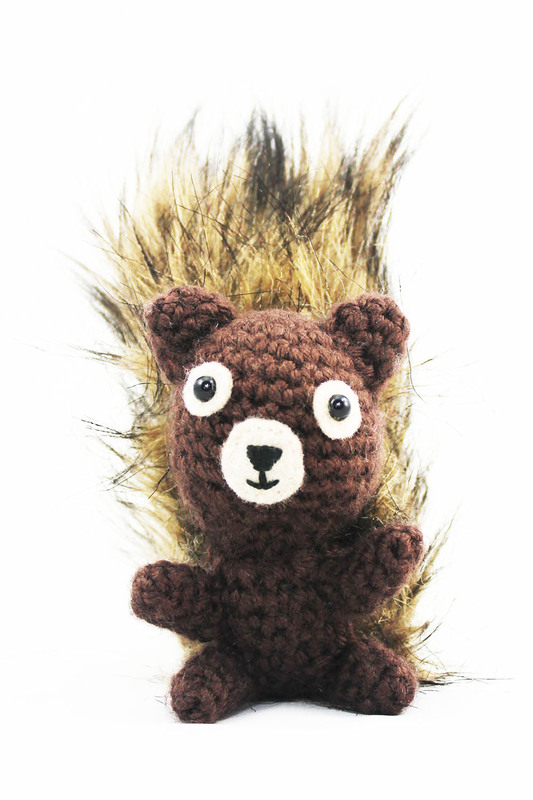 It dawned on me that it would be really fun to write a story for the squirrels that they would enact in an entirely crocheted world and then create a whole series of patterns around those crocheted items. Building a crochet pattern book around a story is a relatively new concept as far as I know, though I’m not the only one to do it. Unlike some of the other books of this nature that I have seen, the patterns in The Big Acorn Race allow you to make the characters and props so that the story doesn’t have to end. You can invent your own story with your version of Hodge, Podge, Eric, or a squirrel of your own. The sky is the limit to the adventures you can take them on. What was your favorite pattern to design for this book? The Tall ‘n’ Fast Flower Pillow was my favorite to design. It was a complicated pattern for me, so I took every Monday off during the month of June 2015 in order to focus on the math and work out the details. As complicated as it was, I really enjoyed this work, which is a lot like solving a puzzle to me. I had a marathon of the TV show 30 Rock on in the background while I worked and I remember laughing the whole time. I like to think that the playfulness of that show made its way into my pattern. Everything in this book is crocheted! How long did it take you to create everything and why did you choose to do this? 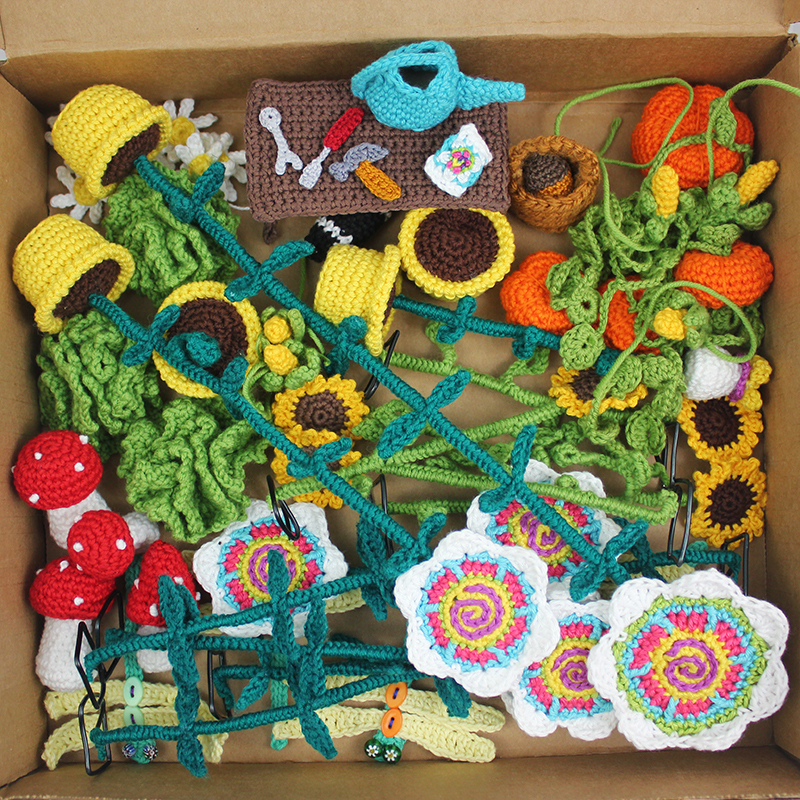 I was putting away all the props after photographing the story section when I was struck by the amount of effort that went into crocheting all these things! I added it up and discovered that between March and November I had spent roughly 950 hours creating the backgrounds, scenery, props, and characters for the story! As much work as it was, it was also a real joy. It’s been my focus with Squirrel Picnic from the very start to create a world with my crochet. By crocheting every detail of this story, I hope that readers will feel that they have entered a fuzzy, comfy, colorful little world. You are a big fan of dioramas. How has that influenced your work? Yes, I really love how dioramas draw the viewer in. The best dioramas have an exaggerated sense of depth created by multiple layers from background to foreground, which draw the viewer’s eyes farther and farther back into the piece. It’s like entering into another world. I particularly admire dioramas that are loaded with tons of detail. The more detail the better! I love getting lost in all the layers of detail. It makes you feel like you have entered another world. These dioramas are captivating, inviting you to stay there for a while. 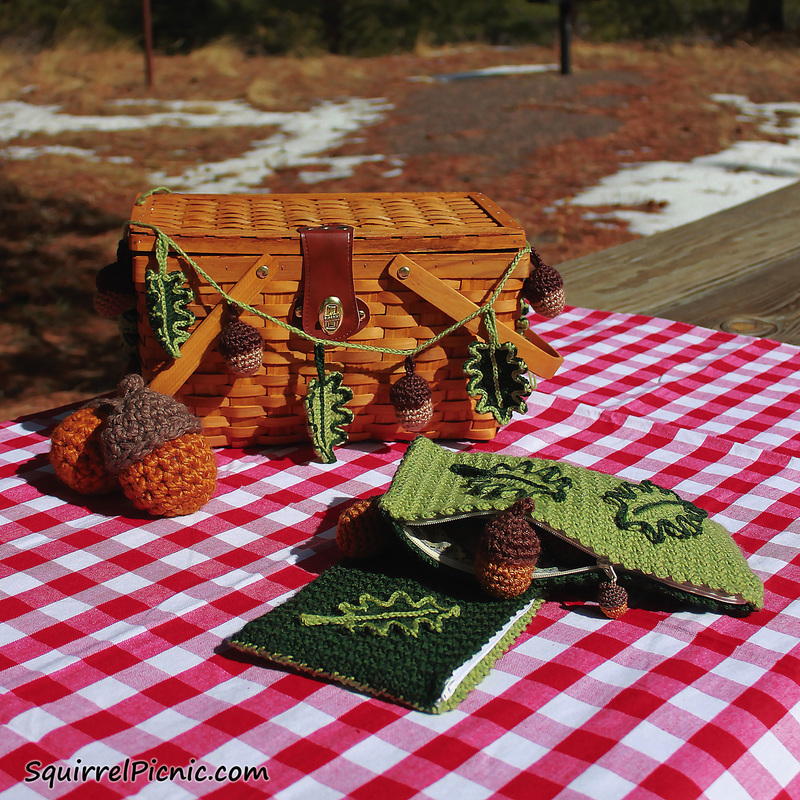 I’ve tried to capture that in my own work by populating the world of Squirrel Picnic with lots of crochet details. How did you become involved with crochet? My mother taught me how to knit and crochet when I was really young, but it never really stuck. Then when I first moved to Colorado in my early twenties, she came out to visit me. While she was here during that visit, she taught me to crochet granny squares. I loved it so much that for several years everyone I knew got a granny square afghan for Christmas and birthdays! Then in 2009, I picked up an amigurumi book at the library and was instantly enthralled at the idea that crochet could create these tiny, adorable creatures. Once I got the hang of crocheting in the round, I couldn’t stop. 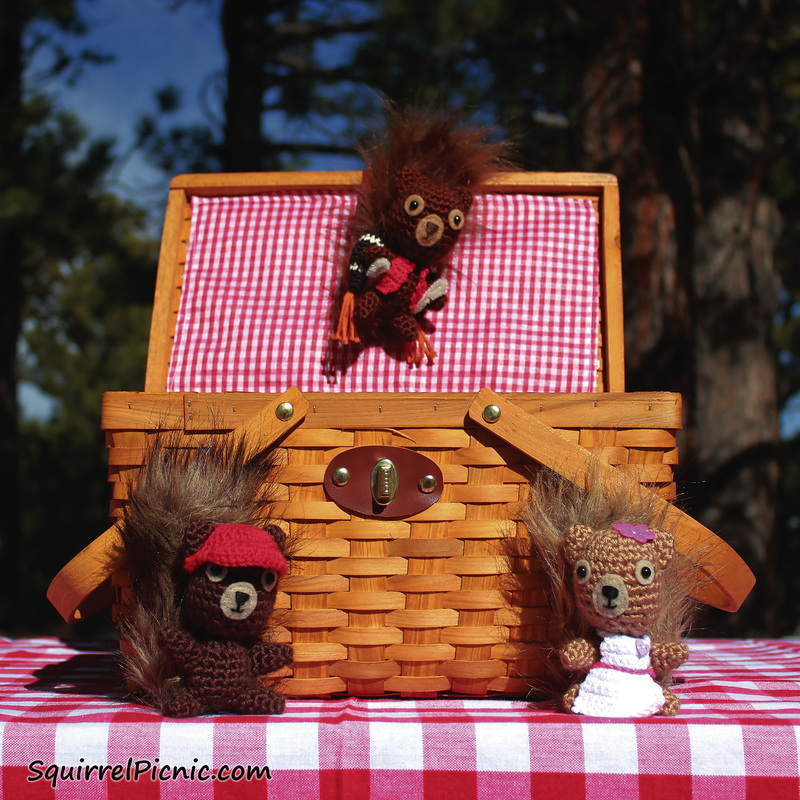 By 2012 I had created Squirrel Picnic and all the amigurumi friends that live there. I am inspired by places more than anything else. I love being outside in nature and Colorado is perfect for that. But I also love to travel and study other cultures. I find anime and Japanese culture particularly inspiring, which is fitting I suppose since amigurumi originated in Japan. Describe your process for designing crochet patterns. Each of my patterns starts with an image which I pour over in my mind until I can see it clearly and can sketch it out. The next step is to make sure that it hasn’t been done before or that I can approach it in a unique way. The hardest part is figuring out how to translate the image into crochet, which often involves some trial and error, testing out different techniques, stitches, and construction until it works. Throughout the entire process I take tons and tons of notes and photos, always keeping in mind the final pattern. I pride myself on creating patterns that are easy to read and follow. I love including photo tutorials, videos, and diagrams with my online patterns because I want my fellow crocheters to have a good time working on my projects. What is the biggest thing that people don’t know about amigurumi, that they need to know? Amigurumi isn’t just for kids. Adults can make amis for themselves and their friends. Who doesn’t love a cute little animal or inanimate object with a smiley face. I’ve seen them on the desks of adults in several industries and on the dashboards of people’s cars. Everyone can love amigurumi. I hope they take over the world. What one tip would you give to a beginning crocheter embarking on an amigurumi project? Use a stitch marker to mark your rounds and count your stitches often. Most amigurumi is created in unjoined rounds, so placing a piece of yarn (often called waste yarn) before the first stitch in a round is essential to keeping track of which round you are working on. You can move the marker up each round to keep track as you go. At the end of each round that involves increases or decreases, I often count the stitches to make sure that I have the same number as the pattern before continuing on to the next round. I really enjoyed making the larger props for the book and it has inspired me to work on more sculptural crochet pieces. 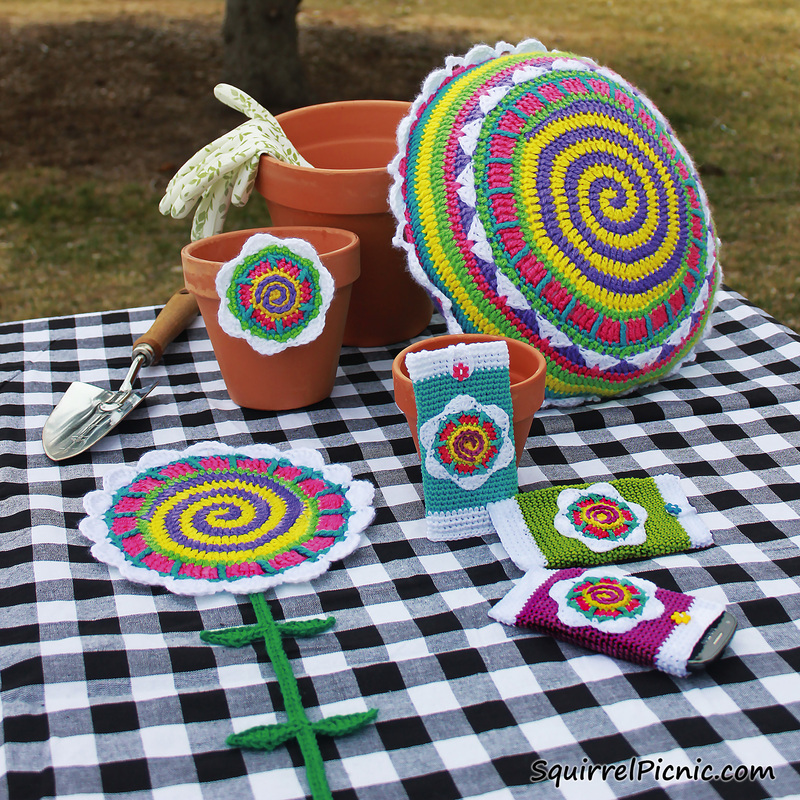 As for Squirrel Picnic, I have several new comics and patterns for new characters in the works. I’m also planning a Squirrel Picnic Summer Camp that will feature new video tutorials for basic and intermediate crochet stitches and techniques over the course of four weeks. I’ll offer more details on this project in the coming months. When will The Big Acorn Race be available and where can we get a copy? 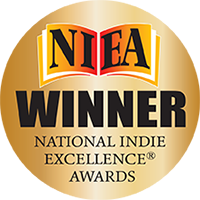 The Big Acorn Race will be available through Amazon.com starting March 10, 2016. I hope you enjoy the book! Categories: Making the Book | Tags: amigurumi, children's book, craft book, crochet, interview, self-publishing, Squirrel Picnic, The Big Acorn Race | Permalink. Hodge and Podge agree that this new book adventure is the most exciting one they’ve ever embarked upon. Even better than the trip we took last year to Fruita, Colorado, for the Headless Chicken Festival. I just wanted to take a moment to give you an update on my progress with Squirrel Picnic’s first book. My thought is that by making it a habit to keep you all in on the adventure of creating and self-publishing this book, I will be even more motivated to get it out on time (March 1, 2016). Just knowing you all are out there looking forward to it (I so appreciate your encouragement) will help keep me accountable. I’ll try to do an update post every month or so. That should keep me on task. Categories: Making the Book | Tags: crochet, Squirrel Picnic, storybook | Permalink.